It was the twist that made my stomach drop, and yet I’d had the strange suspicion that something wasn’t quite right with Steve Peck even before Rookie Blue Season 6 Episode 7. Maybe it was the way he kept losing his temper, or how he turned on his sister even though it was obvious that Gail had done the right thing, but something felt off with Steve this season. Even though this episode confirmed those suspicions, we still don’t know what would drive Steve, a seemingly great guy, to be a dirty cop. That had to be what Traci was thinking as she stared at him. Why would the man she loved, the man she thought she knew, do something so heinous? Why would he plant a bomb that could have killed her best friend? And how the heck is she going to manage to keep it together while they investigate him? I don’t envy Traci. First Jerry was killed, and now this. The poor woman has horrible luck when it comes to love. As much as she loves Andy, it’s going to be difficult to watch her get to be so darn happy with Sam. Sam: Your clothes are all over my bedroom floor. Andy: Oh, I'm sorry, I didn't know that was a problem. I can make it stop. Permalink: Oh, I'm sorry, I didn't know that was a problem. I can make it stop. ...to Andy losing her ring. I had no doubt that Sam had already found it; what I didn’t see coming was the quacking electronic finder. It’s silly moments like that that make this couple truly special. I was impressed but not surprised at how Noelle, Sam, Andy, Dov, and Traci all had Oliver’s back. Just like the audience, not one of them would believe that Oliver Shaw was a dirty cop, and they all worked together to try and clear his name. When Sam and Andy told him what was happening and how bad it looked, the expression on Oliver’s face was heartbreaking. It was as if the very career he’d given his all to was about to bury him. How will the team at 15 Division deal with one of their own being a dirty cop, and what is Steve Peck’s story? 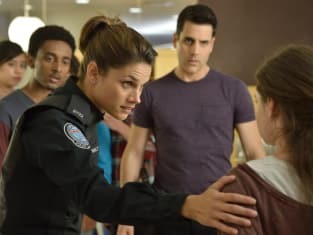 Check back next week for our review of Rookie Blue Season 6 Episode 8, and if you can’t wait until then, you can watch Rookie Blue online here at TV Fanatic. 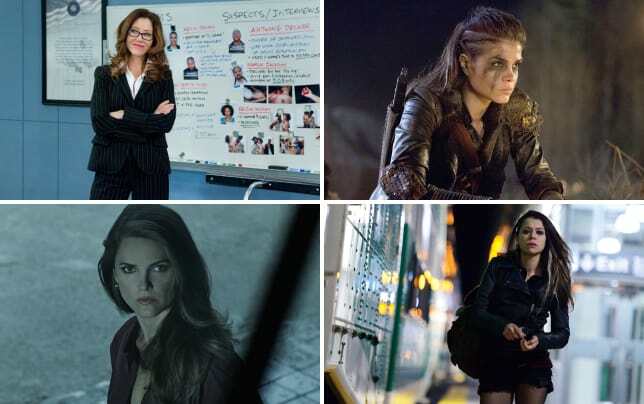 Rookie Blue Round Table: What Should Traci Do Now?